Open Day – Come try the Tennis! Open Day for children and parents! 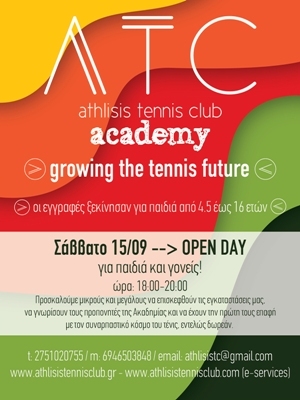 We invite young and old to visit our facilities Saturday 15/09, from the 18:00 until 20:00 to know the coaches and the Academy have their first contact with the fascinating world of tennis, completely free. Children and adults, members of our group, along with his coaching team will be in the fields with their equipment to recommend you our favorite sport.. the Tennis!